Foundation for Management and Industrial Research participated in the 7th meeting of the Sector Group „Women Entrepreneurship” (WEG) held during the Enterprise Europe Network 2016 Annual conference in Bratislava, Slovakia and hosted by the Slovak Business Agency. WEG members together with the representatives from the DG Grow and European platforms for promotion of female entrepreneurship (WINGS, WEgate, WE CONNECT) discussed the new EC initiatives for supporting women in business. Mr. Patrick de Smedt, deputy head of unit within DG Grow presented the new call for pilot projects entitled as “Enhancing the women’s participation in Horizon 2020 SME Instrument” expected to be published by the end of 2016. 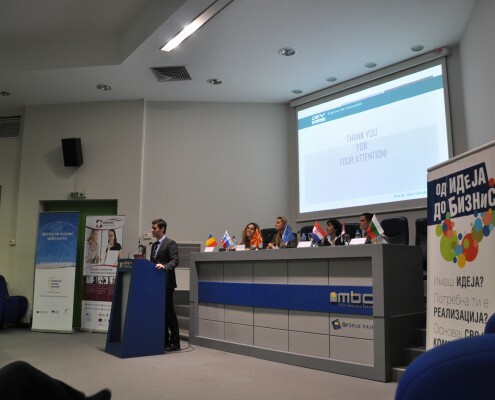 The call amounts 500.000 euro and aims to support two projects coming from consortia consisted of partners from at least 4 EU member states that represents a great opportunity for WEG. During the meeting, aforementioned e-platforms for supporting business women were presented as well – WЕgate by Ms. Sandra Steinhauer, policy officer from DG Grow and WINGS by Ms. Sandra Meier from the University of Applied Sciences from Graz, Austria. 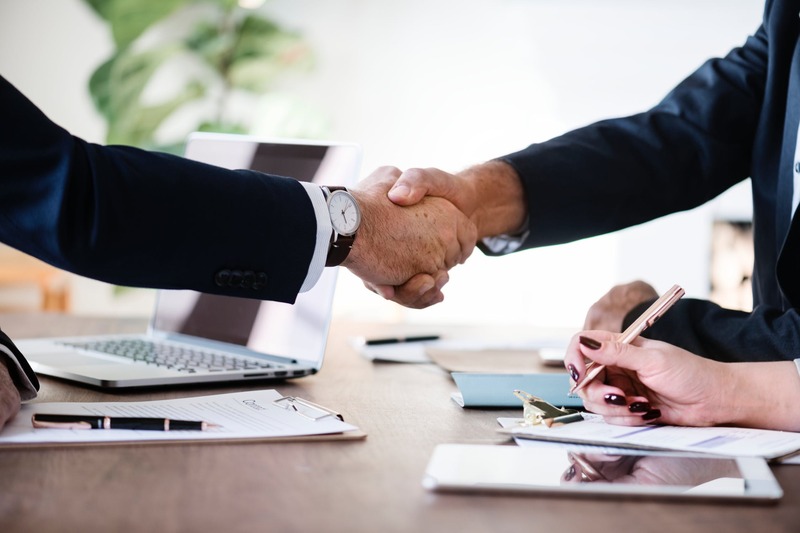 Connecting WEG organizations with these platforms as well as their further promotion among female clients was emphasized as very important and beneficial. This was also highlighted by Ms. Miriama Letovanec Svetkovska, chair of the Slovak platform for women entrepreneurship who provided an overview of the platform’s position within the national ecosystem, its activities and initiatives, as well as the so-called “White paper” containing good practices from around the world. 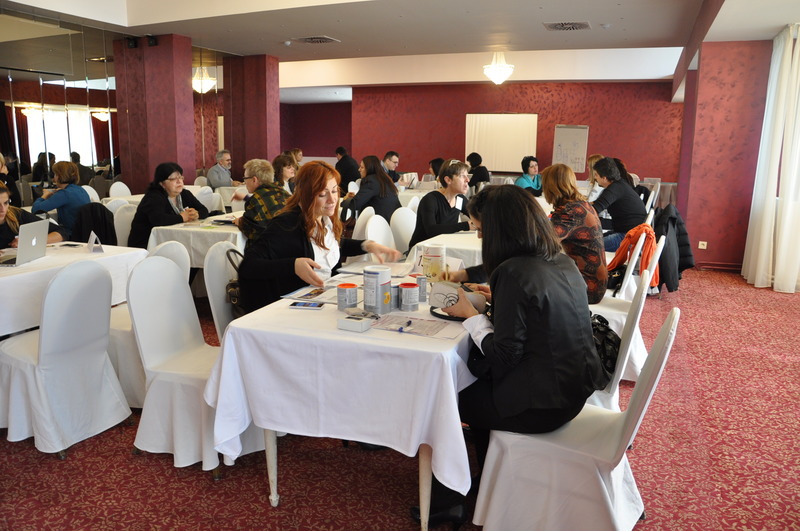 WEG members further discussed the group’s progress since the last meeting in April 2016, agreed upon the new concept of activities and on the activities to be finilised in the upcoming period, including actions for increased visibility, networking events for women entrepreneurs, collection of good practices and similar. The meeting was rounded up with the presentation of the new members from UK, Sweden and Turkey and followed by an informal networking during the reception organised and hosted by the Slovak Business Agency. Enterprise Europe Networking in Macedonia announces the “Go International – Open innovation in ICT” conference on 17 and 18 November in Skopje that will bring together interested companies, research organizations, education institutions and innovators of ICT-enabled products and services interested in presenting their innovative ideas and keen to initiative new partnerships. The two-day conference aims to provide better understanding of the key organizational dimensions and the best open innovation practices used to characterize the collaborative innovation mode in order to find way to capture the value of investment in knowledge creation. Registered participants at the conference will be able to pitch their innovative products in 3 minutes in front of their technology peers for the purpose of assessing the impact of open innovation strategies on their innovation procedure. Pre-scheduled b2b meetings will allow the participants to speed the process of establishing international partnerships in the scope developing ICT-enabled projects based on open innovation approach. On 28th and 29th of November in Skopje, as part of their regular activities Foundation for Management and Industrial Research together with Foundation Youth Entrepreneurial Service have hosted first Regional conference Woman Entrepreneurship-Best practices & networking. 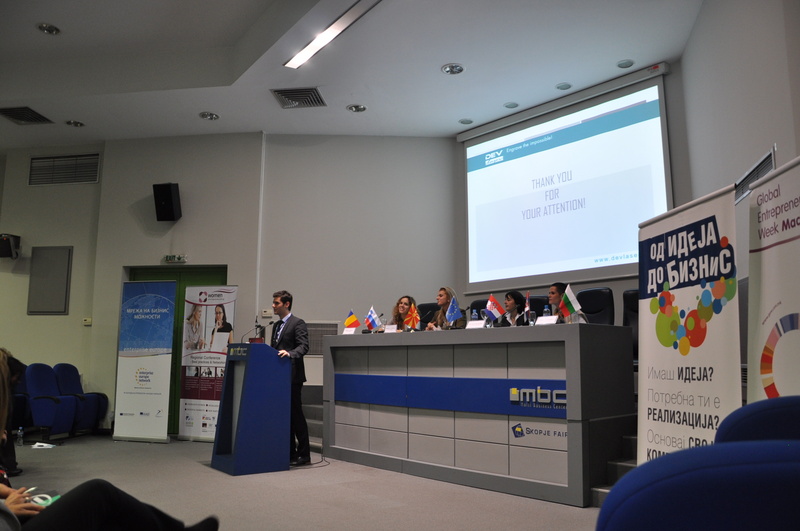 The event objective was to add support toward women entrepreneurship through promoting good practices and business networking of women entrepreneurs from the region such as Macedonia, Serbia, Bulgaria, Romania, Slovenia and Croatia. 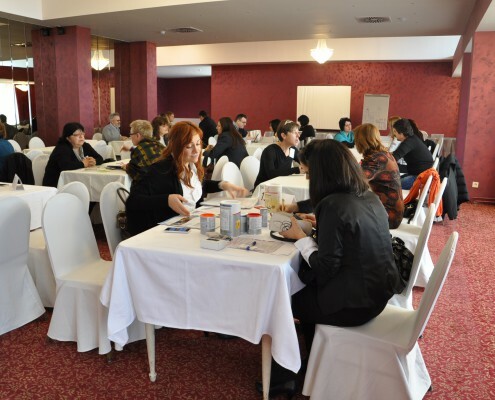 In scope of the conference was organized trilateral Company mission aimed for pre-arranged business meetings among companies led by female entrepreneurs from Macedonia, Serbia and Bulgaria.